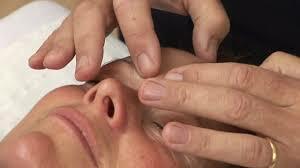 Bowen Therapy is a form of bodywork known for its gentleness and the speed of its effects. In a Bowen Therapy session, the patient wears loose fitting clothing, lies on a bed or massage table, and relaxes while the therapist applies a specifically located series of gentle movements across the body. The movements are composed of a "challenge" to a body of muscle, tendon or nerve and a release of the tension vibrates through to the nerve within the area. The result is a balancing - not only on the structural level and functional systems - but also at the level of the individual’s overall well-being. Addressing the body as a whole, in this way, Bowen Therapy treats beyond the presented symptoms and positively affects the physical, chemical, emotional and mental aspects of each person during the treatment and importantly for many days after. Appointments are usually scheduled a week apart as the treatment’s effect and the body’s process after is lasting many days. In most cases we recommend a series of about 3 treatments to initiate the Bowen process. Most of the time the 3 treatments will give a clear idea as to the tempo of future treatments if needed. The Bowen Technique is a specific series of moves, followed by specific pauses. In a session, the practitioner may do a few moves, then step out of the room for 2-3 minutes. This continues until the practitioner has done everything they have to do. The Bowen moves are gentle and soft, surprisingly and even deceptively soft. I’ve had many clients admit to thinking, “How is this doing anything? It doesn’t feel like it's going to work”. But Bowen does work, and it tends to work rather quickly for those people who respond to it. It can be effective on a recent injury, or on a longer-term or chronic one. But to the perfectly honest, Bowen doesn’t work all the time. Nothing does. Sometimes it takes a while to find the modality that works best for you at that time, be it Bowen, massage, acupuncture, osteopathy, etc. There are some people who respond VERY quickly to Bowen and enjoy a big improvement or complete resolution of their issues in a just a couple of sessions. Most clients notice changes right after and/or in the days following a session, however, there’s a small part of the population who don’t feel a difference – and that’s okay. For those who respond to Bowen, a course of 3-6 sessions is typical, each 7-10 days apart. Why the pauses? Some Bowen moves are followed by a pause, and it’s a very important part of the process. This time allow the move to integrate throughout the body and start affecting a change. Some pauses are only 2 minutes, other can be up to 15; it depending on the depth or magnitude of the move and the process leading up to it. I encourage you to give Bowen a try if you haven’t had success with other things, or even if you have. You’ll know pretty quickly if Bowen works for you – usually within 1-3 days. Bowen is commonly resorted to as a final attempt at relief when nothing else has worked, which is unfortunate but as least people who are searching for relief eventually find it.